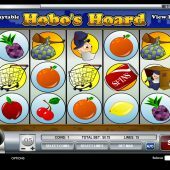 The theme for Hobo's Hoard is almost unimaginable in the modern era, but Rival Gaming's story of a homeless person who sees $$$ signs when he gazes upon a bus stop full of wealthier looking people. The simplistic looking game looks set for retirement anytime soon, but while it still exists I will let you know what lies within. The games primary symbols include cherries, apples, lemons, pineapples, oranges. The theme related symbols are made up of a shopping basket, a hanky on a stick, a cardboard box and our plucky hobo himself. The bonus symbols are the Coke Can scatter and Dustbin Can Wilds. 3 or more of the Coke Can scatter will reward you with 10 free spins and all wins are subject to a 3x multiplier. 3 more scatter symbols anywhere in view will re-trigger the feature. This terrible game is a must avoid for any slots player. The theme is grossly inappropriate, poking fun at people that fall on hard times. The games bonus features are unimaginative and offer little in the way of reward. 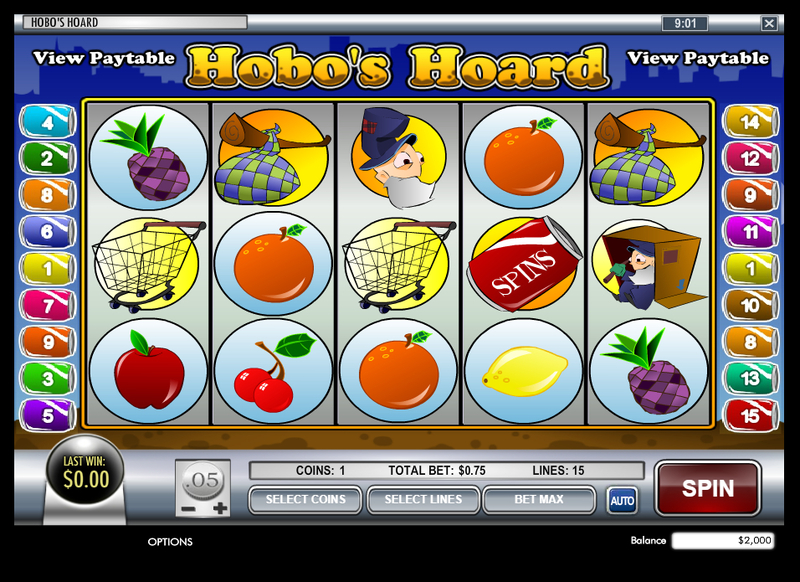 The only thing of note with Hobo's Hoard is that you will unlikely ever find another slot like it.